Soil microbes have suggested to be used as agricultural input. Nitrogen fixing rhizobacteria Azotobacter is responsible to maintain nitrogen nutrition and plant growth whereas Trichoderma enable to reduce soil born plant diseases through antagonistic activity. The objective of this pot experiment was to determine the dosage and application time of carrier- based Azotobacter-Trichoderma inoculant which increase nitrogen availability in soil, as well as growth and yield of chili (Capsicum annuum L.). Chili transplants were grown in low fertility soil mixed with cow manure. Experiment was set up in split plot design which tested four inoculant dosage and three application time. The result showed that effect of biological agent on plant height at three and six weeks after transplanting was not significant. Inoculation of 7,5 g/pot carrier-based Azoto-Tricho at planting time followed by soil dressing with Azotobacter liquid inoculant at 10 day after planting significantly increased NO3 ­- in soil. Carrier-based Azoto-Tricho inoculant irrespective of dosage and application time increased plant yield. The highest yield, 290 g plant-1, was showed by plant treated by 7,5 g po­1t Azoto-Tricho at planting time followed by Azotobacter liquid inoculation. This pot experiment showed that carrier-based Azotobacter-Trichoderma inoculant has potential to be used as biological agent in chili production. Asrul, S. 2009. Uji Daya Hambat Jamur Antagonis Trichoderma spp dalam formulasi kering berbentuk tablet terhadap luas bercak Phytophthora palmivora pada buah kakao J. Agrisains 10(1):21 – 27. Bhosale, H.J, T.A. Kadam, and A.R. Bobade. 2013. Identification and production of Azotobacter vinelandii and its antifungal activity against Fusarium oxysporum. J Environ Biol. 34(2):177-82. Biswas B., P.M. Gresshoff. 2014. The Role of Symbiotic Nitrogen Fixation in Sustainable Production of Biofuels. Int. J. Mol. Sci. 15:7380-7397. Danapriatna, N., R Hindersah, dan Y Sastro. 2010. Pengembangan pupuk hayati Azotobacter dan Azospirillum untuk meningkatkan produktivitas dan efisiensi penggunaan pupuk N di atas 15% pada tanaman padi. Laporan Penelitian KKP3T Badan Litbang Deptan. Unisma. Bekasi. Harman,G.E. 2014. Trichoderma Spp., Including T. Harzianum, T. Viride, T. Koningii, T. Hamatumand Other Spp. Deuteromycetes, Moniliales (Asexual Classification System). Cornell University College of Agriculture And Life Sciences. Dept of Ntomology. Cornell University. Hindersah, R. dan T. Simarmata. 2004. Kontribusi Rizobakteri Azotobacter dalam Meningkatkan Kesehatan Tanah melalui Fiksasi N2 dan Produksi Fitohormon di Rizosfir. Jurnal Natur Indonesia 6: 127-133. Jnawali, A.D., R. B. Ojha and S. Marahatta. 2015. Role of Azotobacter in Soil Fertility and Sustainability–A Review. Adv PlantsAgric Res 2015, 2(6): 00069. Kalay. A.M. 2005. Penggunaan Trichoderma koningii Oud. Sebagai Pengendali Sclerotium rolfsii, Fusarium oxysporium, dan Rhizoctonia solani pada Kacang Tanah. J. Peng Wil 1: 8-13. Kennedy, I.R., and Y-T Tchan. 1992. Biological nitrogen fixation in nonleguminous field crops: Recent advances. Plant and Soil 141: 93-118,1992. Kang, Y.C., C. Cho, N.Y. Kim, and J. Kim. 2012. Cytokininreceptor-dependent and receptor-independent path ways in the dehydration response of Arabidopsis thaliana, J. Plant Physiol. 169:1382–1391. Kizilkaya, R. 2009. Nitrogen fixation capacity of Azotobacter spp. strains isolated from soils in different ecosystems and relationship between them and the microbiological properties of soils. J Environ Biol. 30(1):73-82. Kumar, K. K. Kumar, P. Kumar, R. Maurya,S. Prasad and S. K. Singh. 2014. Production of indole acetic acid by Azotobacter strains associated with mungbean. Plant Archives. 14(1): 41- 42. Mano, Y. and K. Nemoto. 2012. The pathway of auxin biosynthesis in plants, J. Exp. Bot. 63:2853–2872. Miller M.B and B.L. Bassler . 2001. Quorum sensing in bacteria (Abstract). Annual Review Microbiol. 55:165-99. Mrkovac˘ki, N and V. Milic. 2001. Use of Azotobacter chroococcum as poten- tially useful in agricultural appli- cation. Annals of Microbiology, 51:145-158. Robertson, G.P. and P. M. Groffman. 2007. Nitrogen Transformations in Paul, E.A. (Ed). Soil Microbiology, Ecology, and Biochemistry 3rd Edition. Elsevier. Oxford, UK. Setiawati, M.R., B. Joy, dan R.Hindersah. 2011. 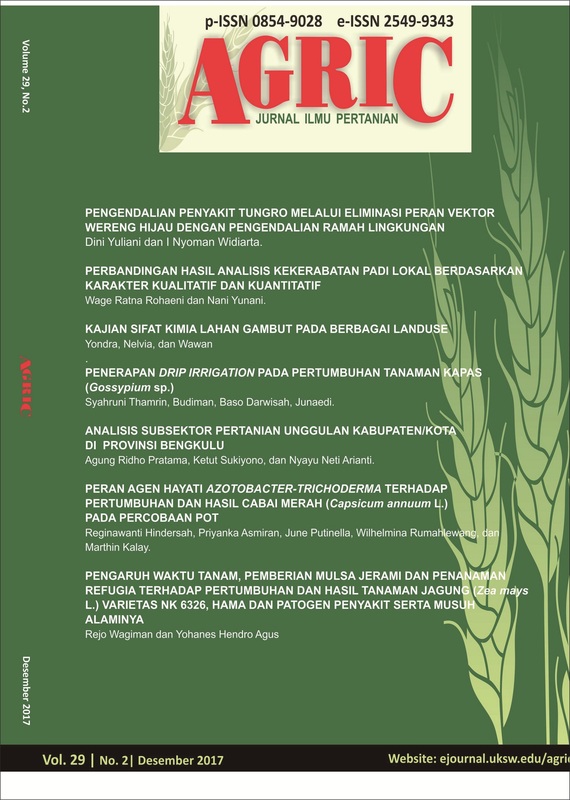 Penggunaan Azotobacter sebagai pupuk hayati pada tanaman padi sawah, jagung dan kedelai. Laporan Penelitian Kerjasama Unpad- PT Pusri. Tilak, K. V. B. R., N. Ranganayaki1, K. K. Pal, R. De, A. K. Saxena, C. Shekhar Nautiyal, Shilpi Mittal, A. K. Tripathi, and B. N. Johri. 2005. Diversity of plant growth and soil health supporting bacteria. Current Science, 89(1): 16-150. Yamaguchi, S. 2008. Gibberellin metabolism and its regulation, Annu. Rev. Plant Physiol. 59: 225–251.